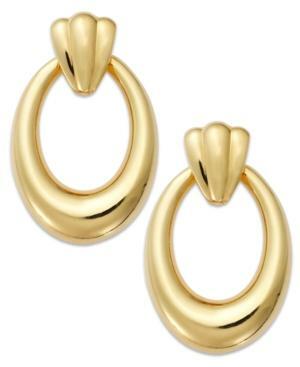 Give your everyday look that extra-luxe touch with Signature Gold's oval hoop earrings. Crafted in 14k gold over resin. Approximate diameter: 1/4 inches.